Two tier statement satin edge veil on a comb. Luxurious Swarovski rhinestone edge adorning one tier. Couture at it’s finest. 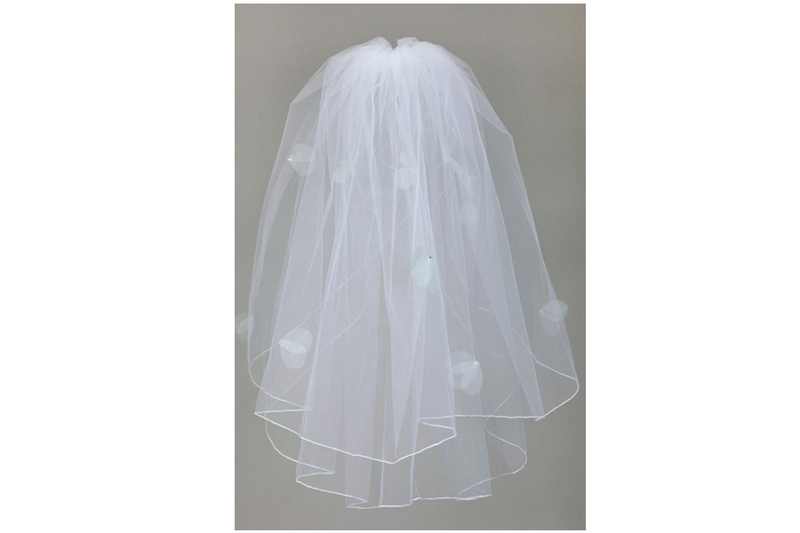 One tiered raw edge veil with a blizzard of white pearls is a favorite for a gown with moderate embellishment. 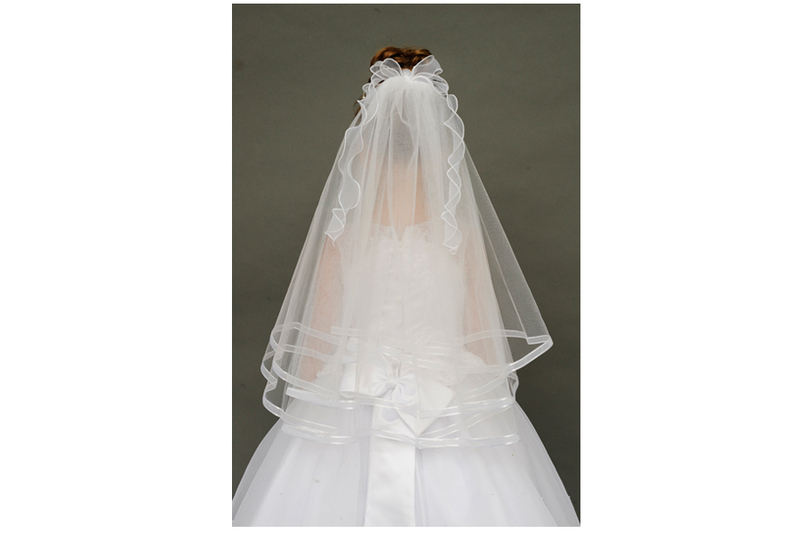 Satin Edge Organza Veil with Bow All veils are offered on a separate comb with a bow (or without). 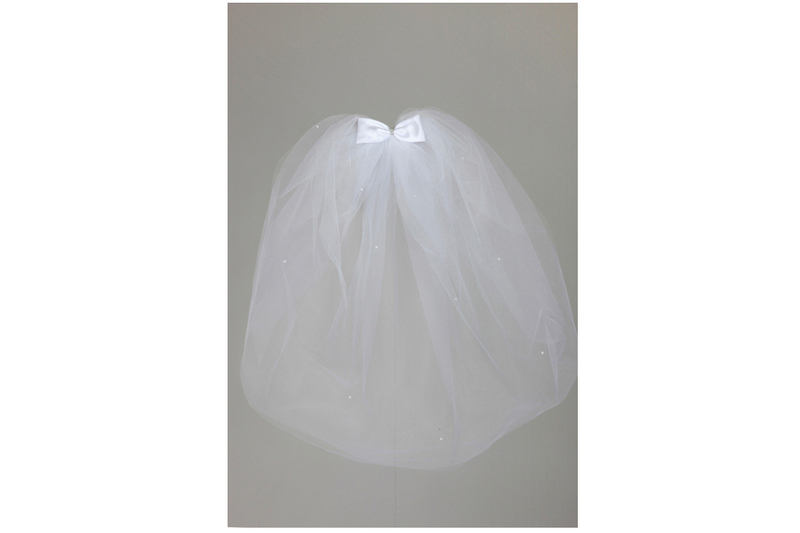 Pictured here, we have a satin edge silk organza edge on a 2 layer veil with the added curly organza bow. ALL MATERIALS MADE (and assembled) IN AMERICA. 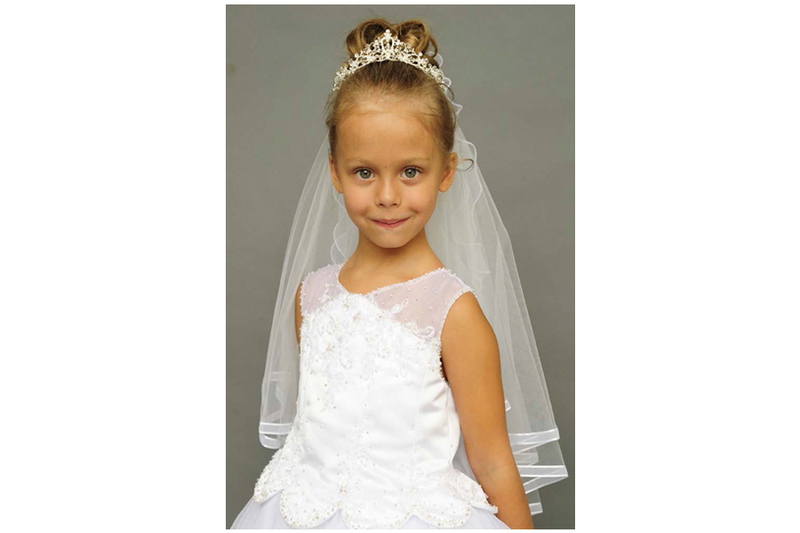 This hand cut organza petal veil looks even BETTER when it’s paired with a beautiful dress and a cutie pie princess! Don’t you agree? 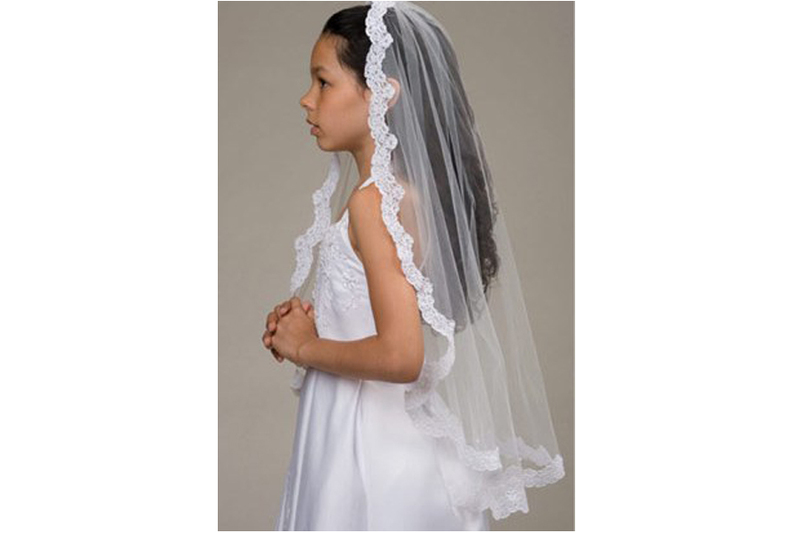 Perfect for the communion gown with lace accents or minimal embellishment. 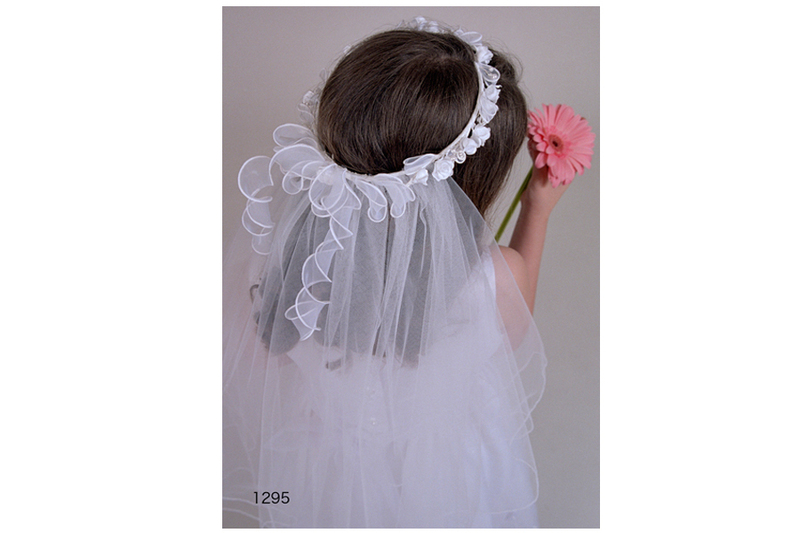 Wreath with Organza Curly Bow Any communion veil may be embellished with an organza curly bow upon request. This traditional wreath is available on request!